By now you probably know how much I love a YWD event and the third one is right around the corner! 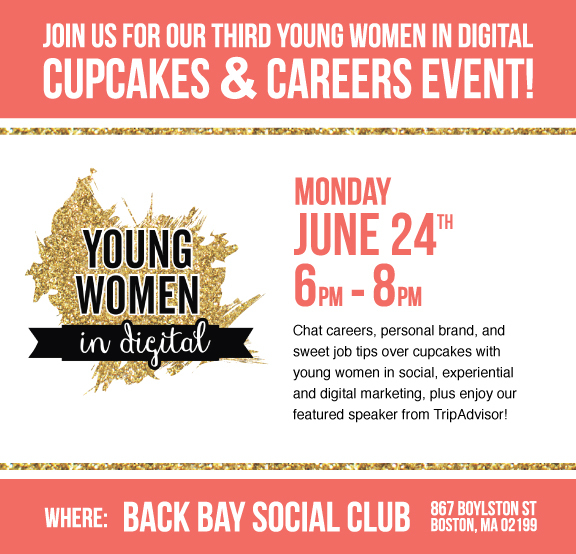 Their next meet up, “Cupcakes & Careers” is scheduled for Monday, June 24 at Back Bay Social Club and will be part mingling, part sweet treats, and part sweet career tips from Jennifer Ramcharan, Global Talent Acquisition Manager at TripAdvisor. YWD founder, Melanie Cohn, throws a fantastic event and knows how to make networking fun. From tweet giveaways, to knowledgeable speakers, to decor details, her events are dynamic and different. I’ve come away from the previous two events having met many smart and talented ladies and feeling inspired. Unfortunately I’m not able to make it to this one — BUT I’m thrilled that Pop & Circumstance will be assisting with the decor. 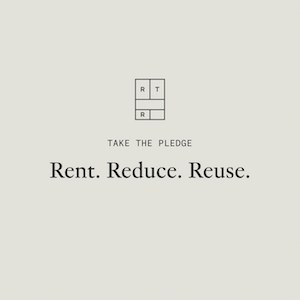 The event will feature giveaways from Miniluxe, Blo South End, BCAE, and more. I’ve also heard that Elance is a sponsor, so this is one not to be missed! Wish I could go but I already signed up for something else!